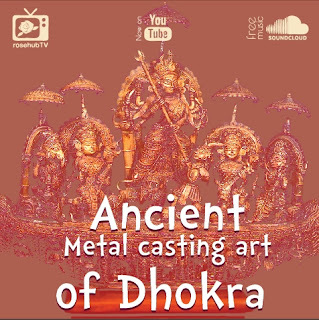 Lost wax technique of metal casting has been in practice for last 6500 years. In Indus valley civilization we find several ideals of god and goddess made out of this technique. 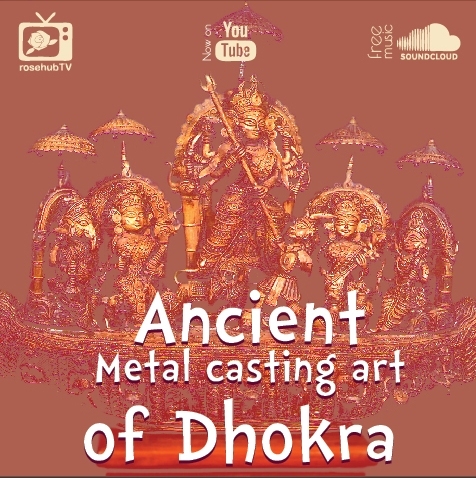 The Bastar tribe from present day Chhattisgarh had been practicing a very unique style of casting and modelling the metal where they use wax wires to decorate their art pieces, it called Dhokra. Few Deseeded of this tribe moved in to West Bengal and start living at Sadhur Bagan, Dwariapur near Shantinikaten, Bolpur. During our visit to Poush Mela we find a few moments of learning and exploring at the wonderful village and witness the ancient practices of these fine craftsmen with their creations. Eminent sculptor Provat Majhi guides us to understand the process in a better way.